There are often also special jury awards given each year. This competition is open to elementary through high school students from all over the world. College student films are not accepted in this competition. San Luis Obispo County residents are eligible for the Best SLO County Film award in three age levels. To win the filmmaker must be a student in a school in San Luis Obispo County or a home school student residing in SLO County, and all entries must include a copy of school identification. Submissions in all categories must be received by Friday, January 11, 2019. 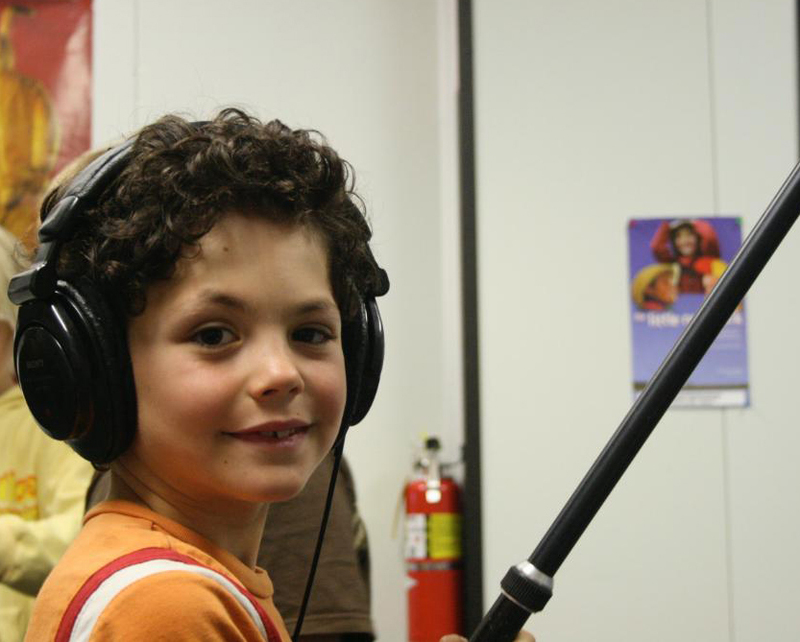 There is no entry fee for K-12 Student Film entries. 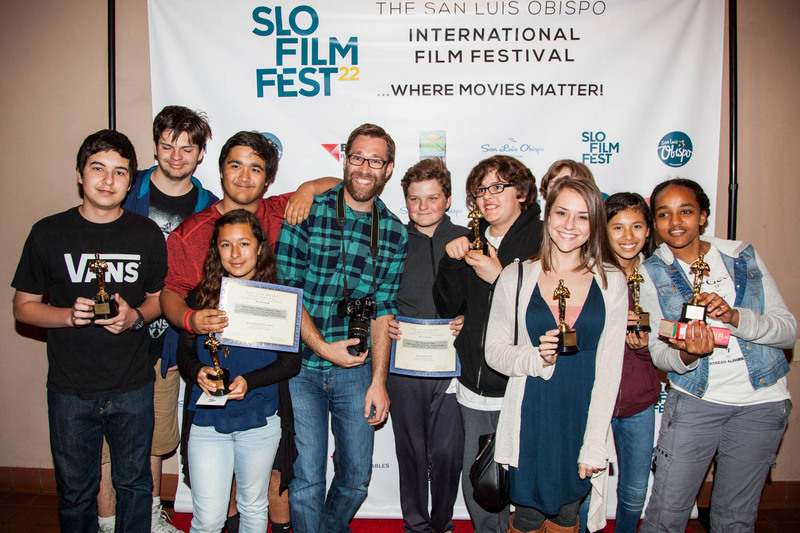 Films can be submitted directly to the SLO Film Fest through the link at the bottom of this page or via Film Freeway. Films can be stories told with photographs, animation, live action, music videos, documentaries…anything goes. The subject matter is limited to your imagination. Films in the elementary-middle school category should be able to be rated G or PG, but high school films can be PG-13. All films must be a maximum of 10 minutes. Longer ones will not be considered for screening. All music used should be fully credited at the end of the film. The SLO Film Fest reserves the right to determine eligibility of any work submitted. All films submitted must have a completion date after January 1, 2018. We prefer to receive screening copies as online links – preferably Vimeo or YouTube. Please add the URL to your submission form. Movies selected for screening at the Festival will be notified no later than February 15, 2019. 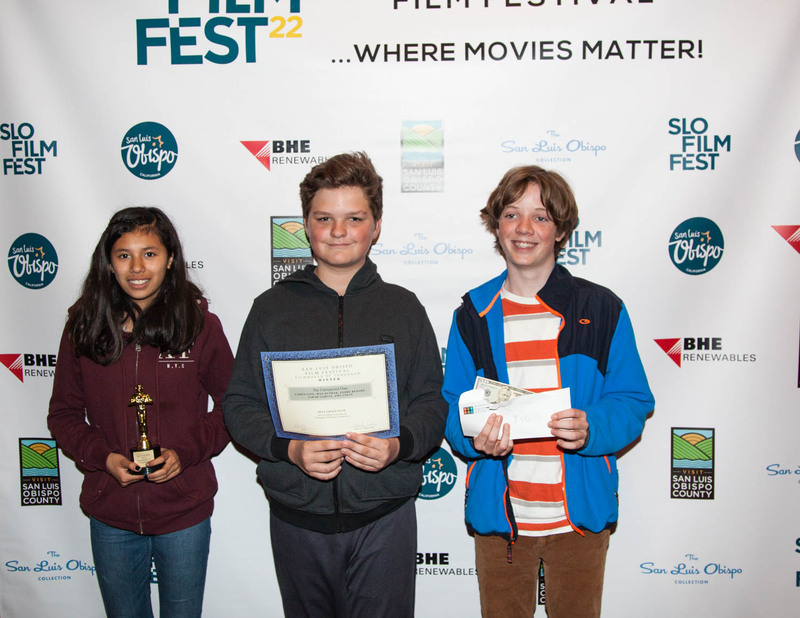 All individual student filmmakers with films screening at the festival will be given 3 regular screening passes to the 2019 SLO Film Fest. Groups of students will be given 2 regular screening passes per student. If you have any questions regarding film submissions, please email info@slofilmfest.org.